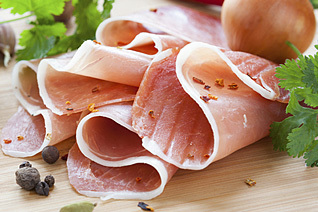 Premium hams, bacons and fine deli meats are staples in any kitchen and are to be enjoyed in everything from antipasto platters and sandwiches to flavorful pasta dishes and entrees. Premium hams, bacons and fine deli meats are staples in any kitchen and are to be enjoyed in everything from antipasto platters and sandwiches to flavorful pasta dishes and entrees. Eat cut is made from high-quality fresh pork with a variety of options to satisfy even the choosiest palate. Enjoy thick cut Canadian Bacon or the American specialty, pork shoulder picnic ham.